~ A measured approach to Multi-Channel Marketing. Christopher S. Miller has been the sommelier for The 21 Club, The American Hotel (Sag Harbor) and worked as a wine educator for Martin-Scott, Winebow and Sherry-Lehmann. Trained at the C.I.A. and in Europe, his experiences include Chef-Owner of a four-star restaurant and Saucier Chef at a four-star hotel in Switzerland. Christopher is an Advanced Sommelier in Court of Master Sommeliers program. 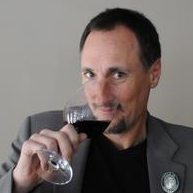 He is now leveraging his experience with quality restaurants and the existing distribution channel to assist artisanal wine producers navigate the direct to consumer channel. A measured approach to Multi-Channel Marketing.